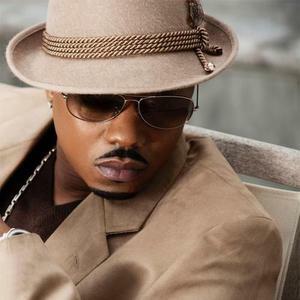 Donell Jones (born May 22, 1973) is an American R&B singer, songwriter and producer, most notable for the hits "U Know What's Up", "Where I Wanna Be" and his cover of Stevie Wonder's "Knocks Me Off My Feet". Born in Chicago, Illinois, Jones' upbringing was rough. He struggled between wanting to be a musician and to be a member of a street gang. After a brush with death, Jones left the gang and focused on a music career forming the group Porscha. Born in Chicago, Illinois, Jones' upbringing was rough. He struggled between wanting to be a musician and to be a member of a street gang. After a brush with death, Jones left the gang and focused on a music career forming the group Porscha. However, Jones was gaining notice as a writer penning songs for established R&B acts such as Usher, producing the singer's 1995 hit, "Think Of You", 702's "Get It Together" and also wrote for groups such as Brownstone and Silk. In 1996, he signed with LaFace Records and released his debut album, My Heart, which included his hit cover of Stevie Wonder's 1976 ballad "Knocks Me Off My Feet". It wasn't until 1999 however that Jones began to establish himself as a R&B hit maker with the album, Where I Wanna Be. The album yielded the number-one hits such as "U Know What's Up", which featured TLC member Lisa "Left-Eye" Lopes and the title track. Other hits included "Shorty (Got Her Eyes On Me)" and "This Luv". In 2002, Jones released the gold-selling Life Goes On album, which featured the hits, "You Know That I Love You" and "Put Me Down" featuring Styles P.. Four years later, he released his fourth album, Journey Of A Gemini, which featured the Tim & Bob hit, "I'm Gonna Be", which became a big hit on Urban AC. Jones is currently writing songs for Usher, Whitney Houston and Mariah Carey on their upcoming albums.